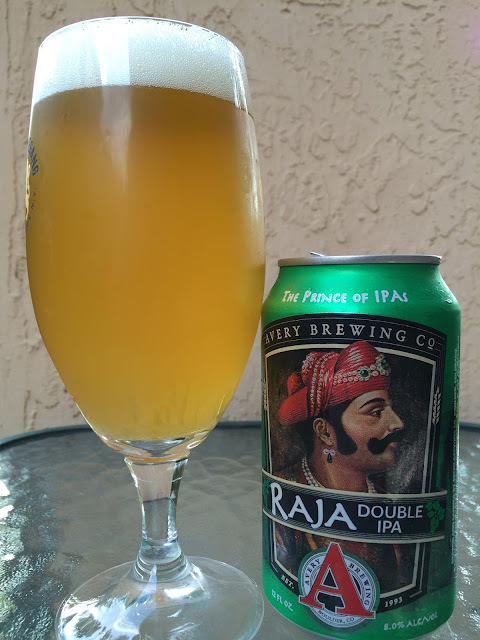 I grabbed a can of Avery's Raja Double IPA a few days ago. Great Brewery and great reputation with IPAs. This particular can dubs this beer "The Prince of IPAs" so I am expecting a lot! 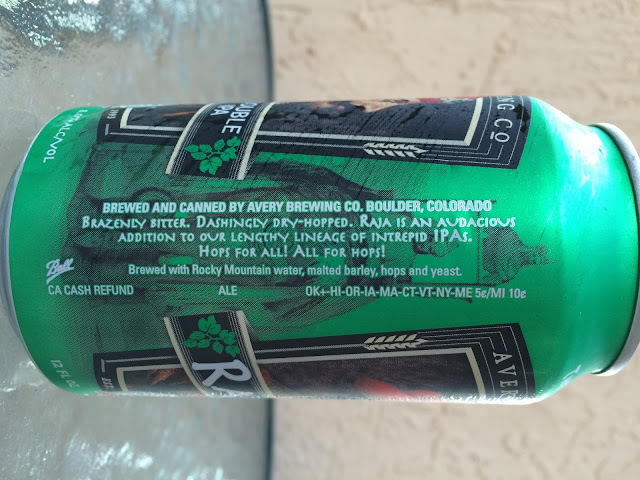 The story to the side says this beer is "Brazenly Bitter. Dashingly Dry-Hopped." The art shows an Indian Prince, turban, earrings, lots of facial hair. 8.0% alcohol. Freakin' awesome aroma! Tropical tangerines and pineapples with some bright candied citrus. Ditto. Drop the mic for the flavors! Good night! Juicy, fruity, tropical pineapple flavors to start. Citrus orange. Spicy hoppy bite. Bitter, yeah, but plenty of beautiful sweet balance. Alcohol dry at the finish. Had to write short sentences to control my enthusiasm! Lots going on. Fabuloso! A true prince!